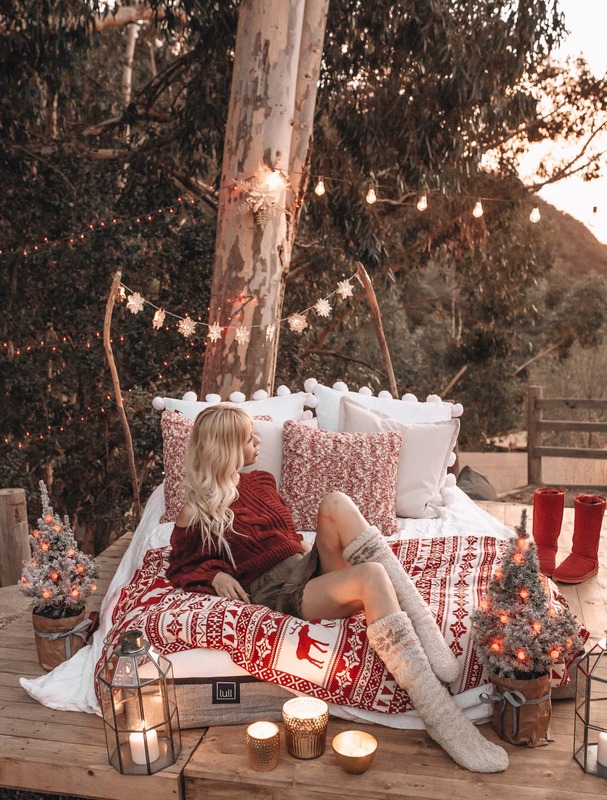 California has presented us with such a warm holiday season… though I keep wishing for sweater and coat weather, it’s made Glamping all the more possible! 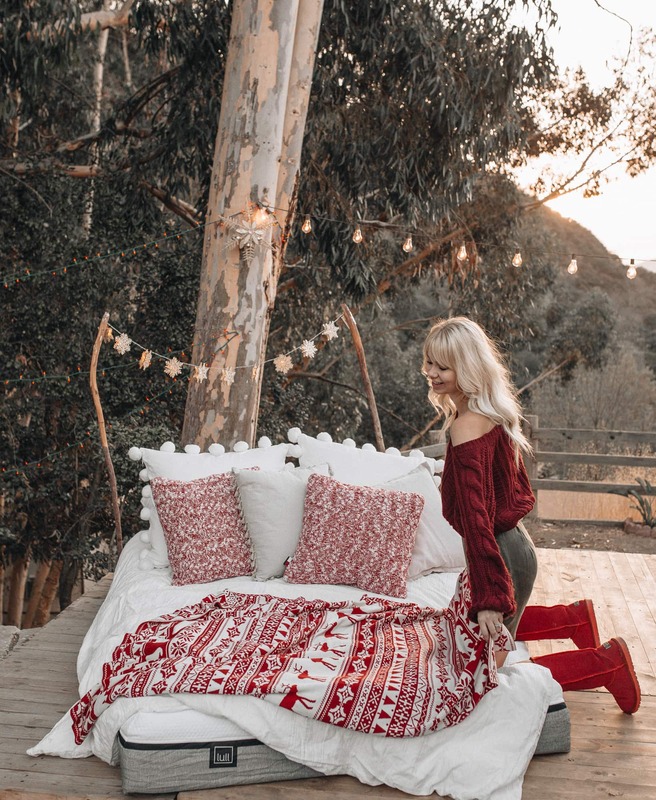 With all the cozy comfortable weather, I picked up an all new mattress from Lull to set up the ultimate cozy “glamp” situation on our pallet deck overlooking the canyon! 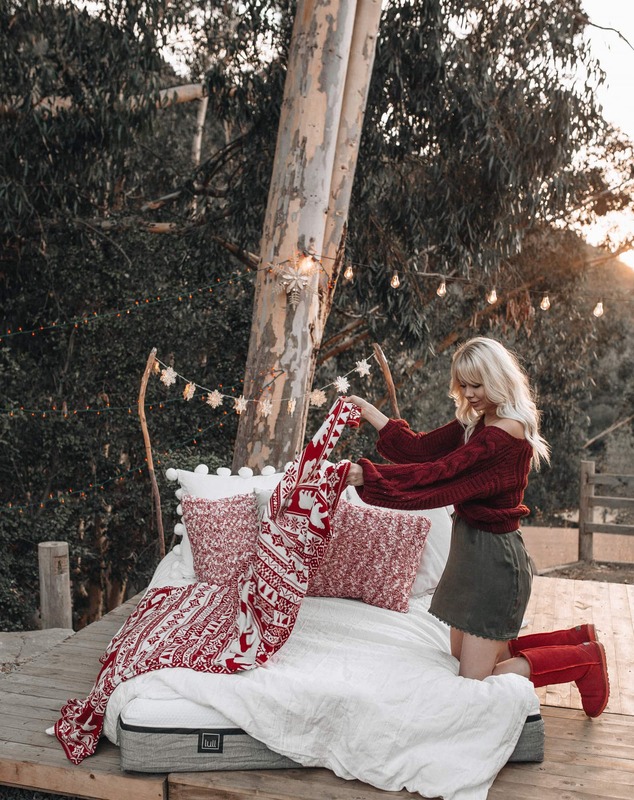 Lull’s super easy and affordable, shipped-to-your-door-in-a-box scenario is all one needs to make this perfect scene come to life! 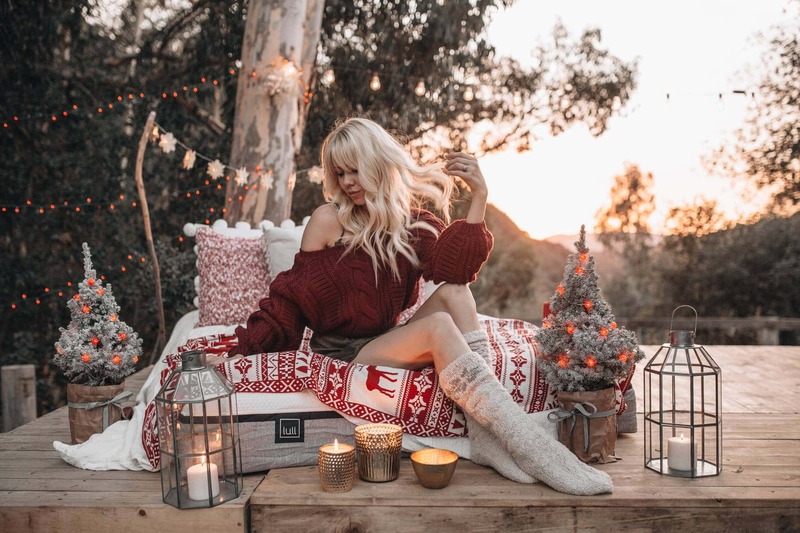 We unboxed the mattress, decorated with all the holiday goodness, lit up some candles and lanterns, and toasted with hot chocolate. 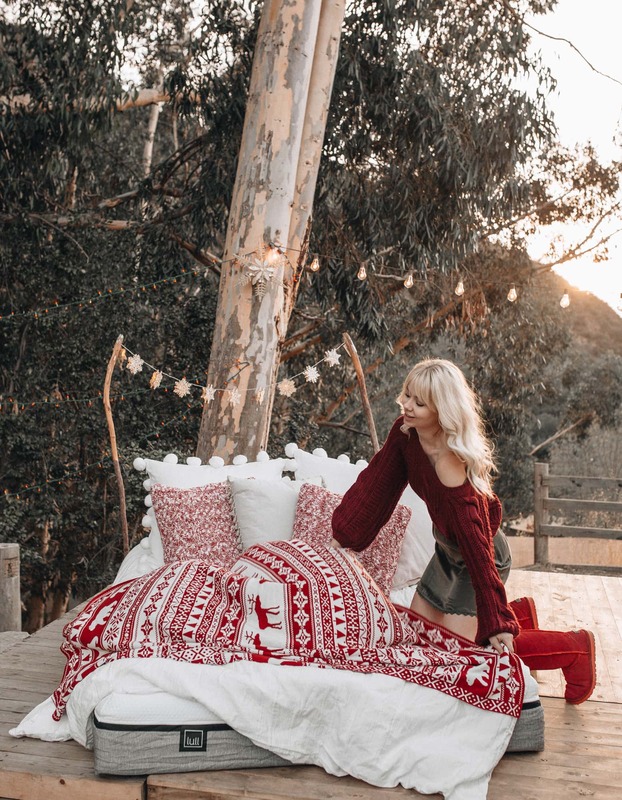 Perfect for a Netflix and Chill night, literally! 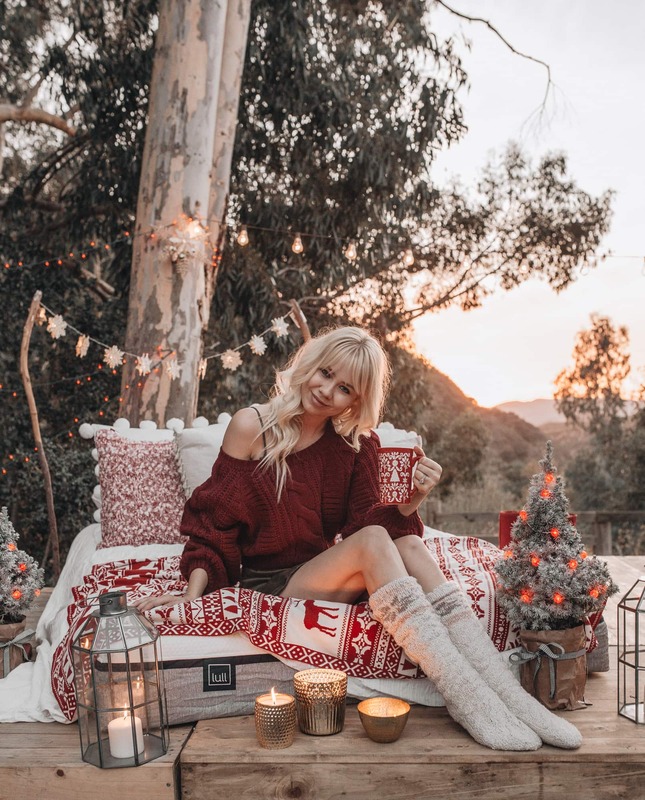 I would totally invite friends over for a movie, bonfire, and some spiked egg nog. Now, doesn’t that sound like the best ever? !